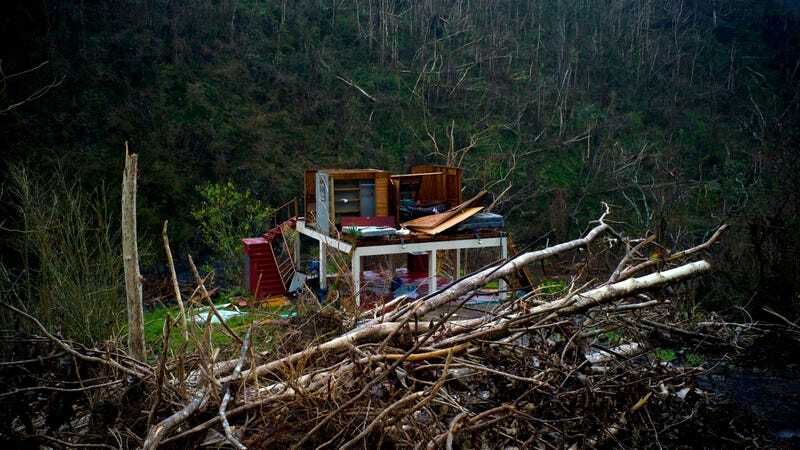 When Hurricane Maria struck Puerto Rico and the US Virgin Islands as a Category 4 storm this past month, it immediately brought devastation from winds, flooding, and storm surge to many Americans. The entire island lost electricity. While there’s been some recovery to the power grid and shorter gas lines, the next concern is more sinister. The official death toll is 16—but this number has not been updated in several days, reports Vox. One reporter, Omaya Sosa Pascual, called every hospital in the country and found the number closer to 60, at least. President Donald Trump has already cited the lower number to downplay the severity of the catastrophe compared to Katrina. Without power, medical facilities have shut down; around 400 residents have been taken off the island for treatment. CNN medical correspondent Sanjay Gupta reports doctors encountering several “preventable deaths” daily as care takes too long to reach ailing patients. He recounts patients in need of antibiotics and bedridden folks unable to leave their homes. The Hill reports that the 5000 people who rely on dialysis to stay alive are now at risk while fuel required to power generators is in short supply. Less tangible risks exist as well, reports Inside Climate News. The EPA hasn’t been able to test the floodwaters for possible toxins and contaminants. Experts worry about mosquitos carrying chikungunya, dengue, West Nile, and Zika. And “more than half of the 3.4 million residents lacking access to clean drinking water,” according to POLITICO. Some worried about cholera, but the CDC “does not anticipate” cholera cases, writes Politifact. Some have pointed out problems on the island predating the storm that helped set it up for the current crisis. It already suffered from decaying infrastructure, inferior hospitals, and a high frequency of diabetes cases. It has a comparatively poor, aging population, with an insufficient number of medical professionals to treat these high-risk patients. Thousands of federal employees have been dispatched to the island to assist in cleanup and recovery efforts—though some senators have told reporters that they felt not nearly enough has been done.